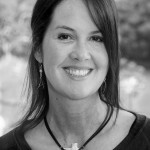 Communitere is an innovative non-profit, pioneering an effective international model for sustainable disaster recovery. 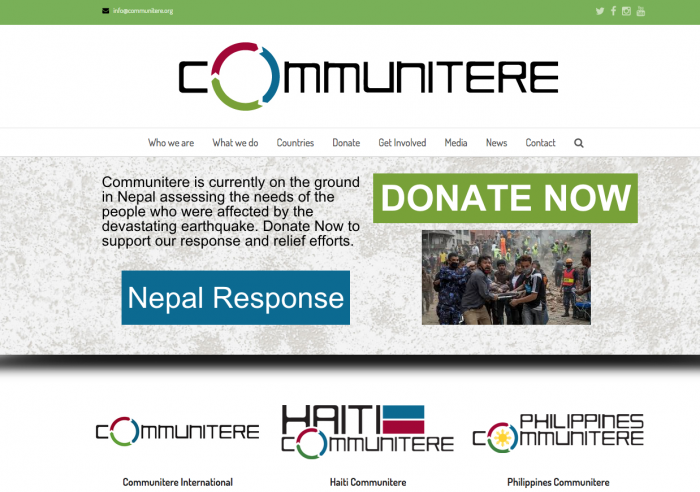 Communitere had commenced work to create a new website with information about the organisation, the projects being undertaken in each country and, most importantly, information about how to donate. As a non-profit, Communitere worked with a number of volunteers to get the website kicked off but as volunteers moved on or worked on other projects, the website development fell behind. The Kickstart Biz was recommended to Communitere by another of our clients and they asked us to help them get the website finished off. Communitere operates in a number of countries as well, so we created sites for each country which mirrored the look and feel of the Communitere International site but allowed for local customisation and content. We took over the development of the site, working out what key information Communitere needed on the site and the best way to structure the site within the existing WordPress theme that Communitere was currently using. Board members Sam Bloch and Robin Borrud identified some opportunities to streamline and automate some of the Partner Program and Project information as well as the volunteer application process. We worked to create a solution which allows Partners and Volunteers to complete a form on the website which then automatically feeds through to the appropriate staff and also automatically populates parts of the website once approved. We look forward to continuing to work with the Amica Digital (previously the Kickstart Biz) as we branch out to new countries recovering from disaster and as our existing deployments develop programs that serve people in need in their communities.